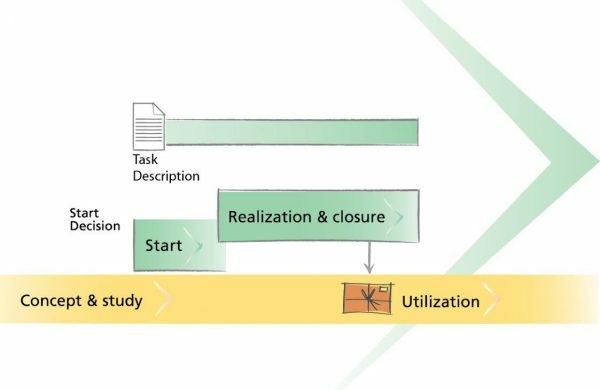 Development initiatives of non-recurrent character can be grouped into three different classifications: Projects, Assignments and Tasks. The purpose of doing this is to achieve a good balance between the need for steering/formalities and simplicity. Wenell’s project model supports these three options, adapted as they are to meet their respective, varying requirements. The three working methods share some similarities and the toolbox can be used for all of them. 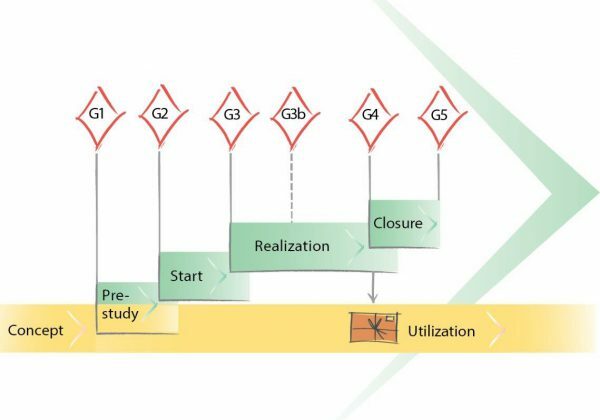 Projects are activities with high levels of uncertainty and require a lot of coordination. The need (rationale) for the project might be unclear or ambiguous and will require clarification and prioritizing. Work will often be subject to frequent reconsideration as the project progresses. Assignments are activities with lower uncertainty than that of projects and with less need for reconsideration. There is often experience from similar activities and working methods are known. 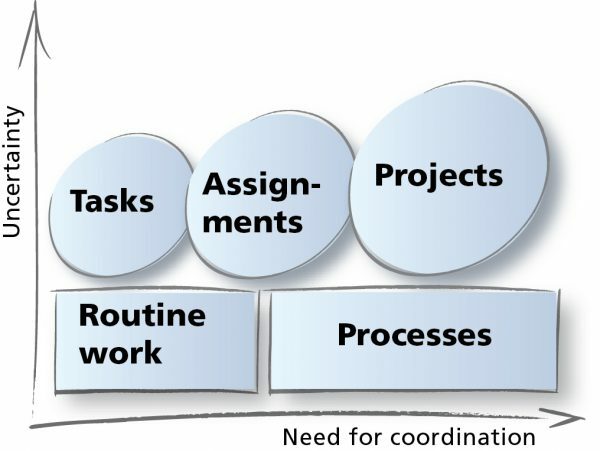 The need for coordination is also less than in the case of projects and the reason for the assignment is clear. Tasks are simple activities of smaller extent with low uncertainty and little need for coordination. Development can be inspired by the project format, but is more informal than those of projects and assignments. Often one person carries out much of the work alone. More information about our Project model?